If you want the best mobile mechanic in Brisbane, you can’t go wrong calling us at Premium Mechanical Services for your next mobile car service. We come to your home or place of work to service or repair your car, making us the ideal choice for people with busy lives. One thing we have noticed is that not many people carry an emergency road kit in their car, which might make sense when people have their cars regularly serviced and only drive in the city. 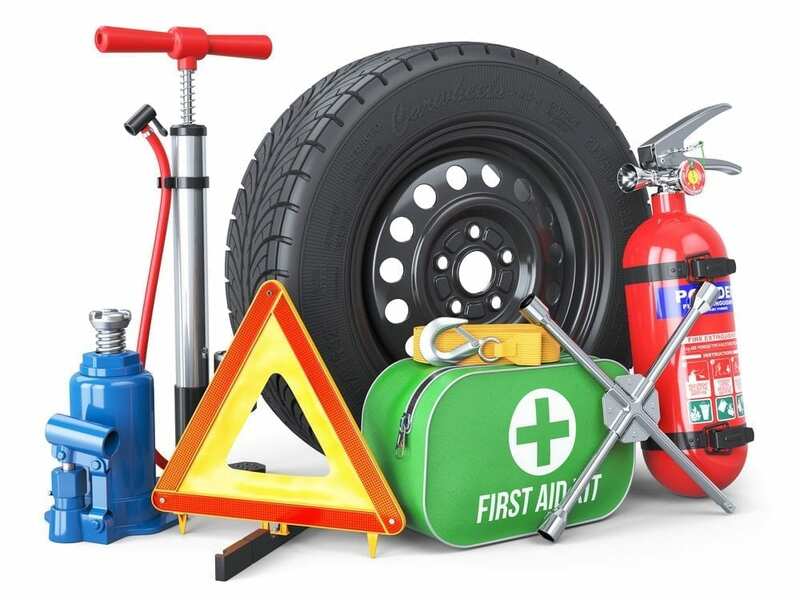 On the other hand, accidents can happen and it doesn’t matter how often you schedule your mobile car servicing in Brisbane, an emergency road kit will always come in useful at one time or another. So if you don’t have an emergency road kit in your car, here is our 7-point checklist. Jumper cables: Even if you don’t know how to use them, when you have a flat battery and need to flag down help, hopefully the person who stops to help will know how to use them! We can show you how to jump start your battery during your next mobile car service in Brisbane. Flashlight: A flashlight always comes in handy at night, particularly if your car has stopped and you need to check out the engine in the dark or you need to walk to the next petrol station. It’s also great for finding something you lost under the seats as well! Safety gear: This includes reflective triangles and a reflective jacket so that traffic can see you clearly if you have to stop on the side of the road to fix a problem. As a Brisbane mobile mechanic, we always carry safety gear in our truck, because you never know when you might need it. Fire extinguisher: Along with a fire blanket (you hope to never use), it’s better to be safe than sorry, so always pack an extinguisher and fire blanket in a secure but easily accessible spot. Road maps: In this day and age of mobile phones and the GPS, who uses maps? Well if you can’t get a signal then your phone and GPS are not going to be much use! So pack some up-to-date maps just in case. We always keep maps in our truck, just in case we lose a signal – as we don’t want to be late for your mobile car servicing in Brisbane. Rags: We always have plenty of rags hanging around our homes and garages, just remember to pack a few into your car, because they always come in useful, particularly when you don’t have any to hand! First aid kit: Your emergency road kit should always include a first aid kit, because you never know what can happen on the road. You might stop to enjoy a view and get bitten by a snake! Why not book a mobile service and make sure that your car keeps everyone safe on the roads?